Some people may be confused by the presence of the skull and bones under the Cross of Christ. However, in images of the crucifixion are all deeply symbolic and points out important aspects of Christian faith and tradition. 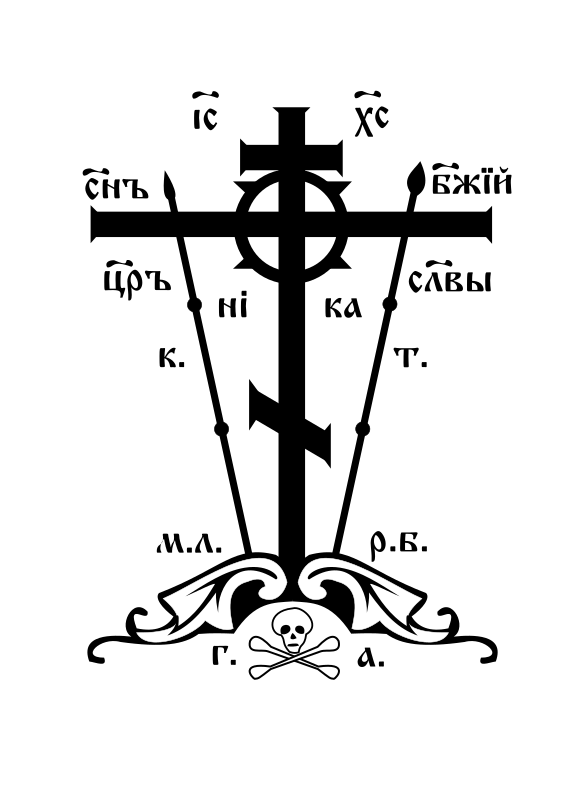 Image of a skull and bones under the crucifixion of the Lord Jesus Christ is often found not only on the icons depicting the passion of the Savior's sufferings, but also on the pectoral crosses. At the same time, some of the images of the crucifixion next to the skull are the letters "G" and "A". It is a kind of abbreviation of Adam's head. Thus, under the crucifixion of Christ is depicted as the head of the progenitor of mankind, Adam. This practice is based on Church tradition. The Holy Scriptures call the Calvary (place where Jesus was crucified, Christ, Calvary. It is believed that there was laid the body of Adam the righteous after death. An explanation of the naming of Calvary Calvary can also be found in the Christian tradition. The first people didn't know what to do with the deceased person. Therefore, Adam was put on earth, and under the rays of the sun, the skin and muscle tissue istina before the appearance of the frontal bone. The crucifixion of the Lord Jesus Christ on the burial place of the first man, Adam is deeply symbolic. So, Scripture tells us that death came into the world after the fall of man. Just as through Adam came into the world sin and death, in Christ humanity was succeeded by reconciliation with God, salvation and the opportunity to be in Paradise after death. The blood of the Savior of the world, as it washed the burial place of Adam and his skull. Skull and bones under the image of the crucifixion of Jesus Christ represent all of humanity that needed saving. Sin of the first parents, who prevented peace between people and God, now washed by the blood of the only begotten Son of God. The sacrifice of the Lord Jesus Christ was the testimony of the great love of God to man. Thus, images of a skull and bones under the crucifixion not talking about a mystical death, does not mean magical elements of necromancy. It is a indication of tradition and a symbol of salvation of all mankind through the death of the Savior of the world.